How can I Play Ninja Saga? Do I need to pay for Ninja Saga? When I delete my character, do my Saga Tokens disappear? Can I inactivate my NS account? My account is disabled (permanently)! I cannot load my character! 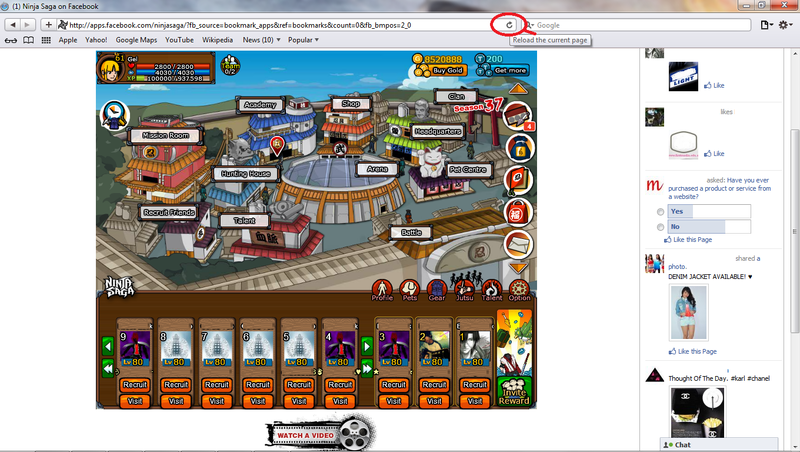 My XP does not move! What is level cap? What is the current level cap? How many characters can I create? How do I switch to another character? Can I use special characters for my character name? Does my character's gender affect the game? 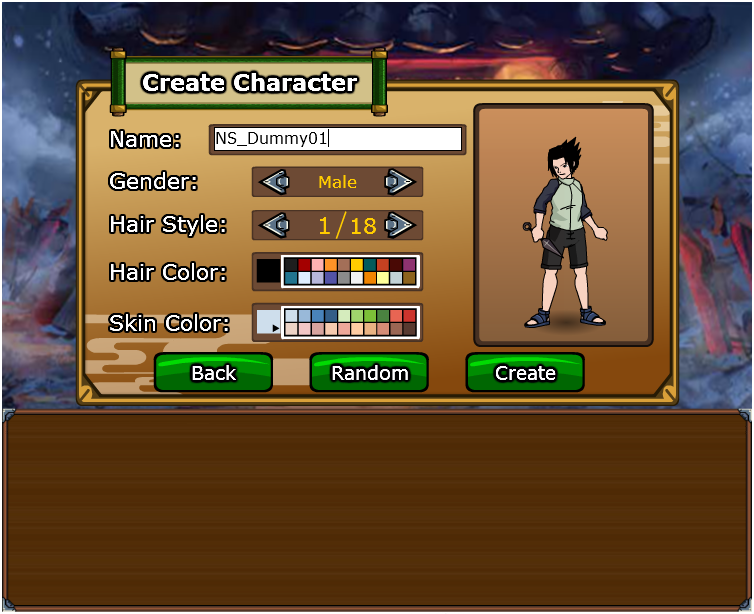 How can I change the appearance of my characters? How can my character re-gain HP? 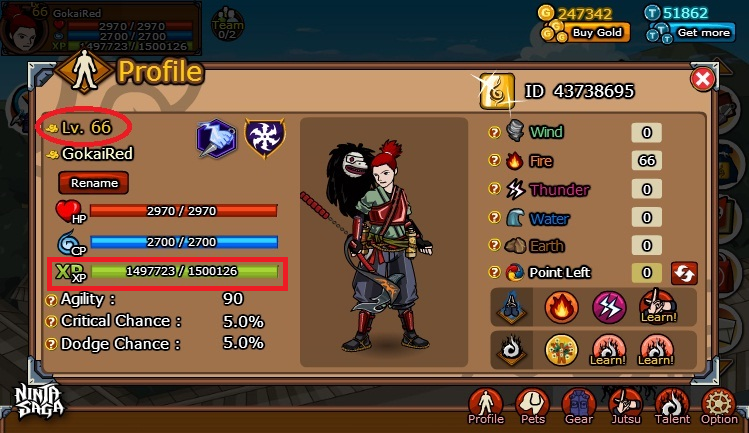 How can my character re-gain CP? How can I increase my maximum HP? How can I increase my maximum CP? 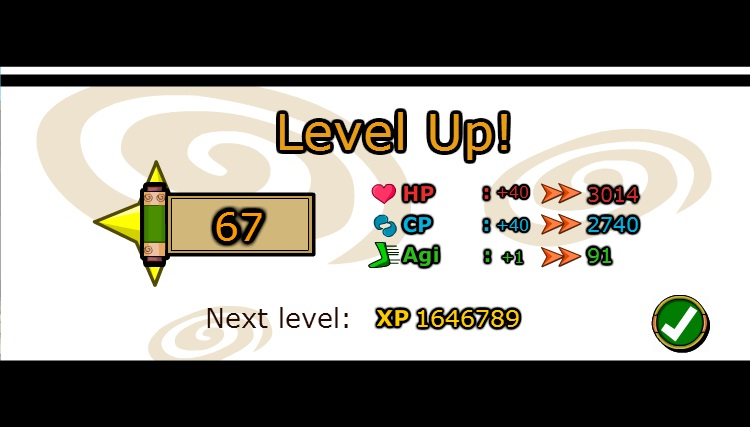 How can my character level up? 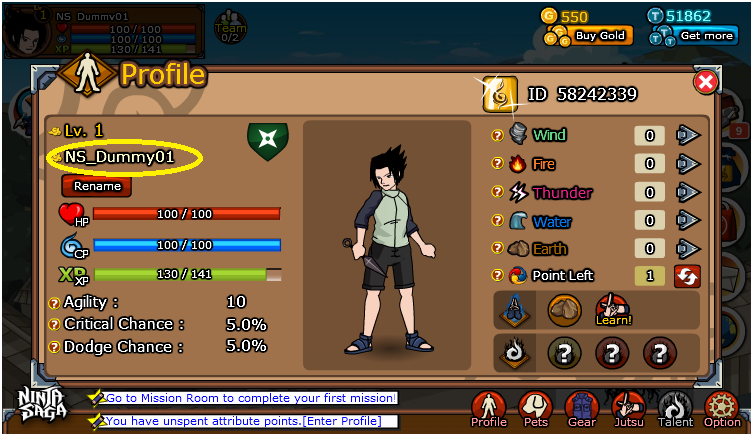 How can my character gain XP? What are attribute points? 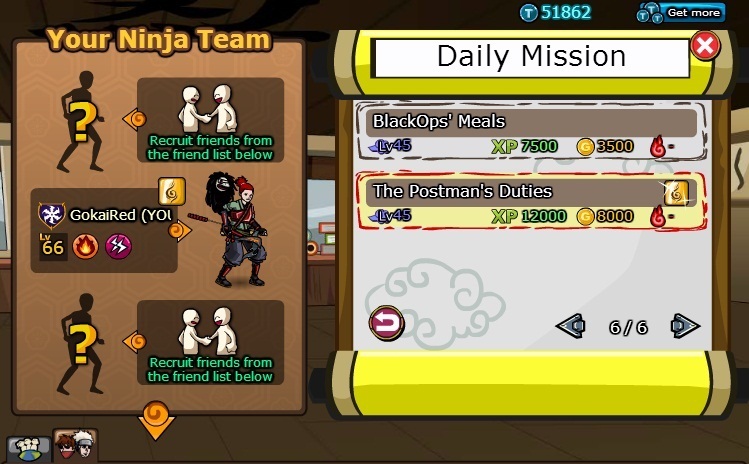 How do they affect my character / ninjutsu? How do I gain attribute points? 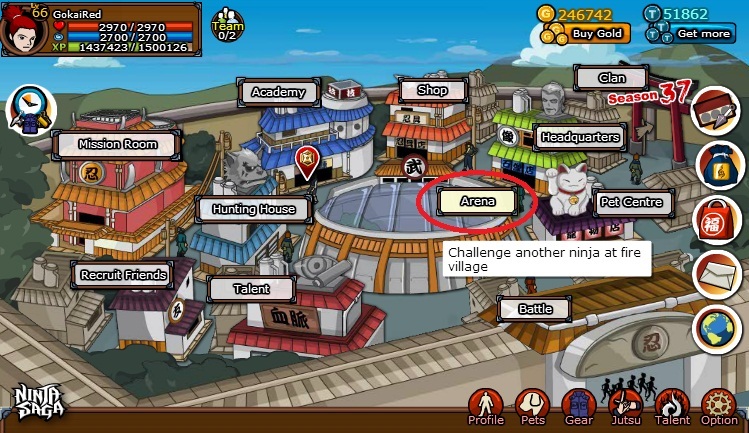 No, Ninja Saga is free to play. However, you will enjoy Ninja Saga better if you sign up for Ninja Emblem. 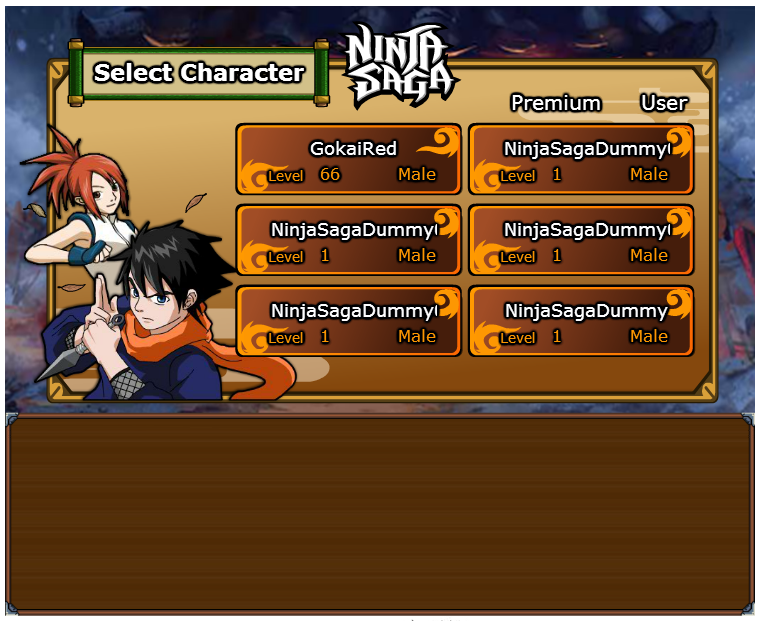 Ninja Emblem is Ninja Saga's premium account. 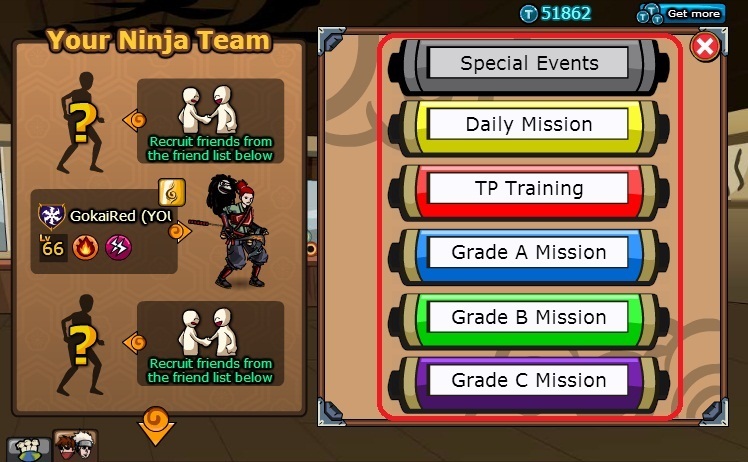 With a Ninja Emblem, you can enjoy the full benefits of Ninja Saga, including an additional school of jutsu, extra Special Event Missions, various kinds of unlimited game features, prior customer service and a lot more! 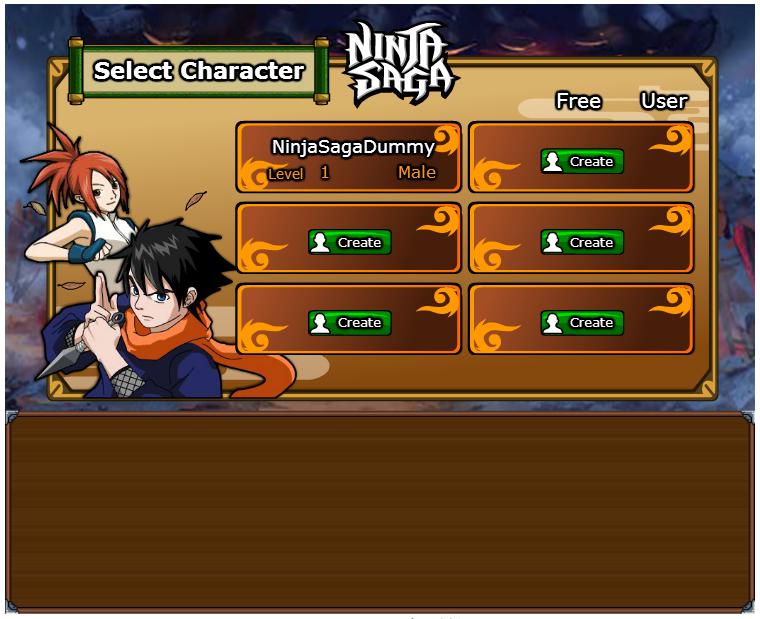 Players will receive 100 Saga Tokens once when joining Ninja Saga , but not while creating a new character. 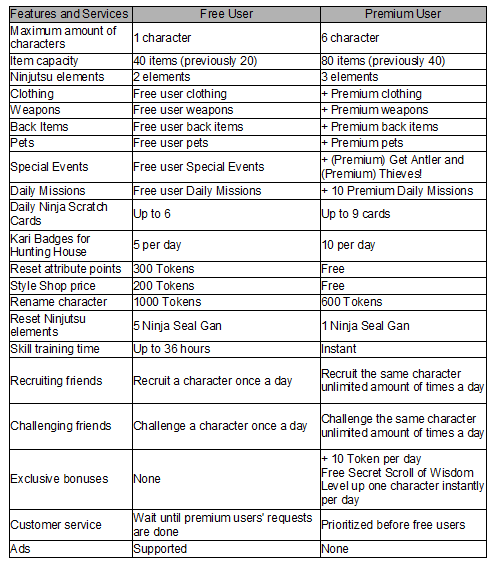 In other words, if you delete your character and create a new one, the new character will have the same Saga Token balance that the deleted one used to have. 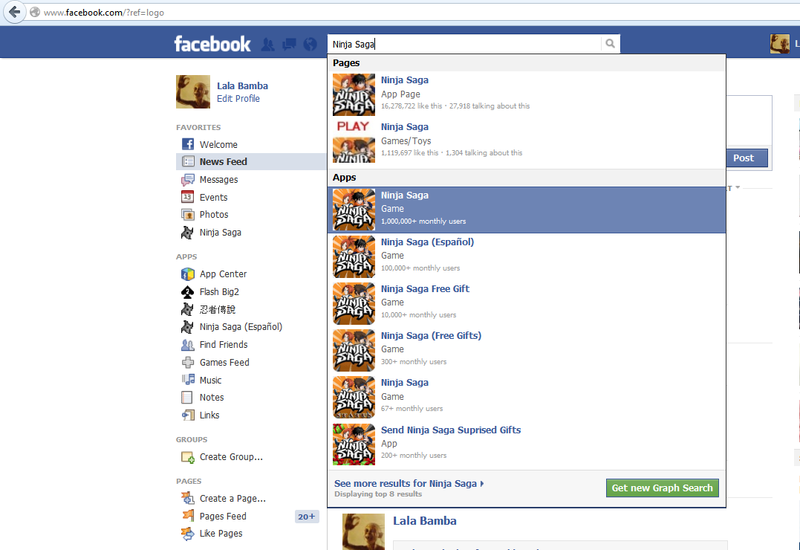 Once your Facebook ID has been stored into Ninja Saga Database there is no way that you can erase it. There would be no refunds for the Saga Tokens used. 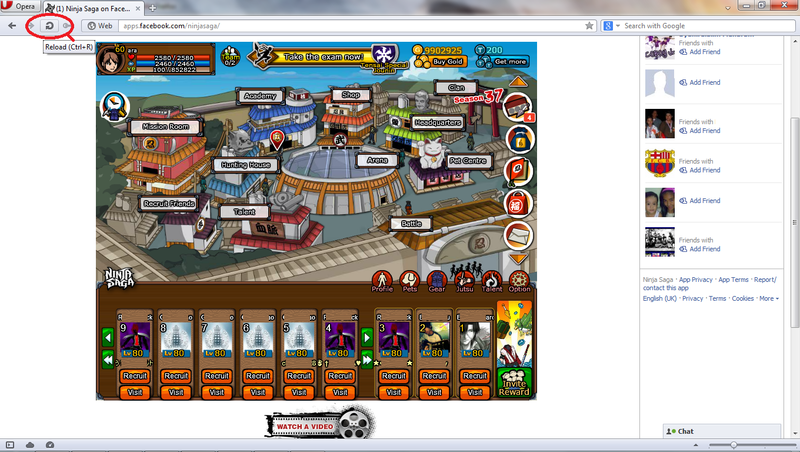 No re-activation will be granted for malicious hackers.Ninja Saga has zero tolerance to hackers. 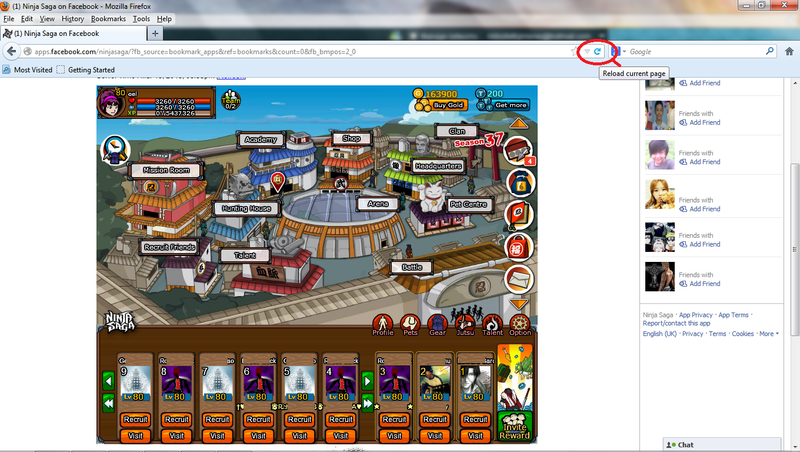 If you continuously hack into the game system, your account will be suspended permanently. If you have hack any Saga Tokens, you have to pay for the exact amount of Saga Tokens you have hacked to re-activate the account. Your account is temporarily disabled because PayPal is currently holding a payment you made earlier as they suspect the buyer's funding source and therefore further investigation is needed. You are advise to contact PayPal immediately to resolve the case: www.paypal. Once PayPal confirmed the legitimacy of the payment, your account will be re-activated within 3 business days. 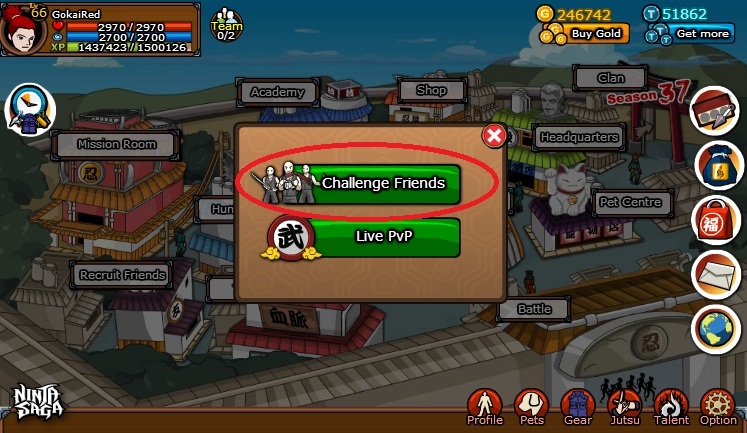 If you have tried to cheat / hack the game, you will be unable to load the involved character. Please start a new character. 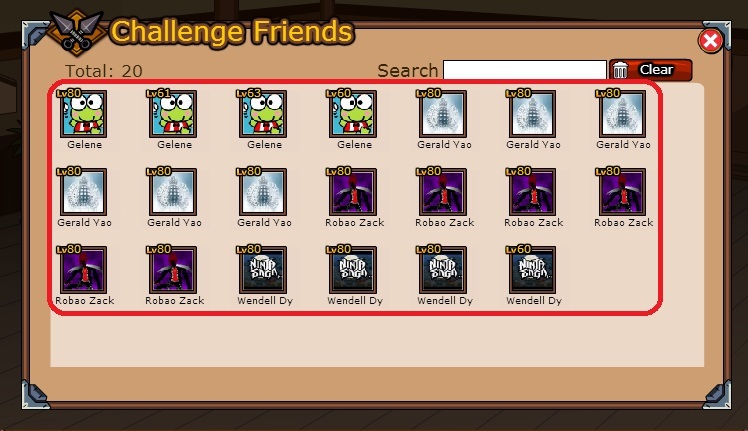 If you did not hack the game in any form, please refresh the page. 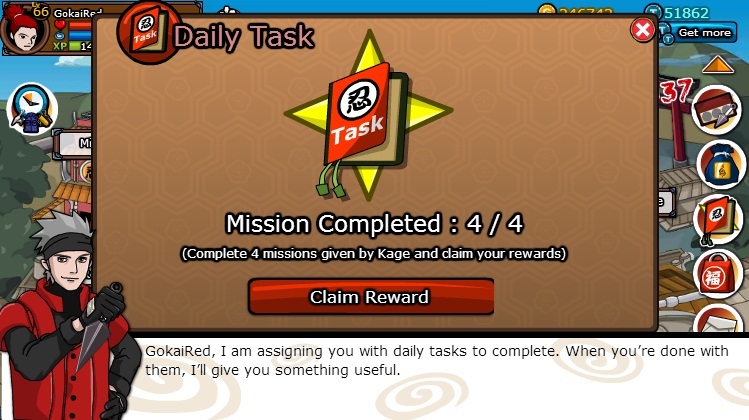 ** Ninja Saga will not delete player's characters. Have you accidentally pressed DELETE and type it instead of PLAY? Have you shared your Facebook or other social networking accounts with someone else? 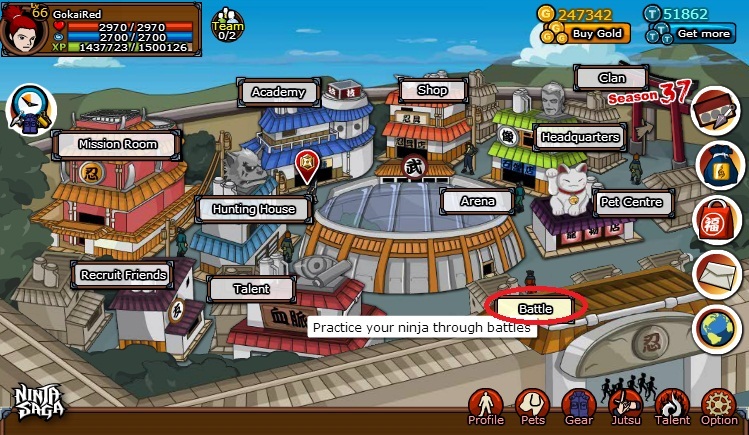 Have you logged out from your account if you were playing Ninja Saga at a public venue? Ninja Saga will not delete player's characters. However, we do not provide any character recovery service at all. ** You are advised not to share your Facebook / NS account with others. Always remember to log out if you are playing in a public venue (e.g. internet cafe)! 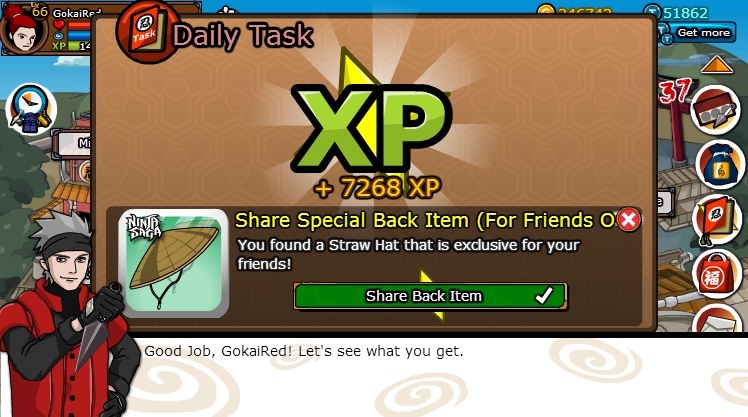 If you are Lv80, you have reached level cap. Please wait patiently and new level cap will be announced from time to time. 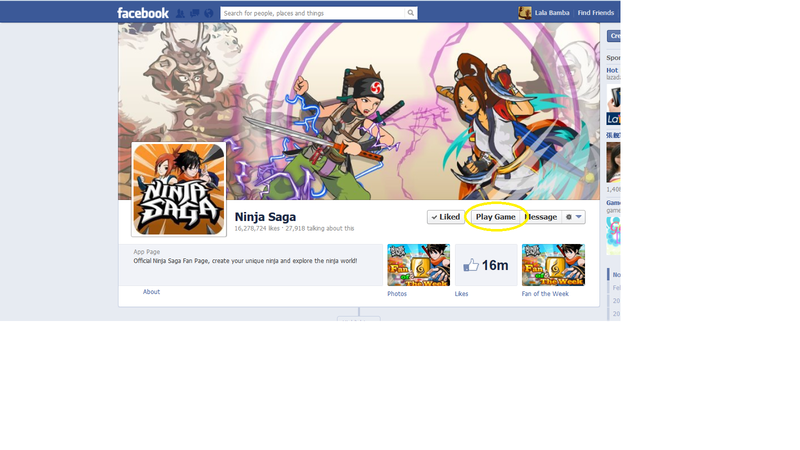 Like us on Facebook (become our fan) or visit our website to be updated with the latest game news! 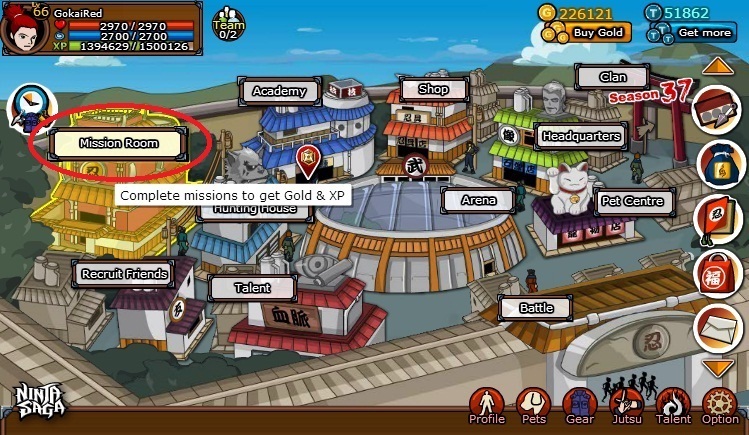 A level cap is the maximum level a player can reach temporary. 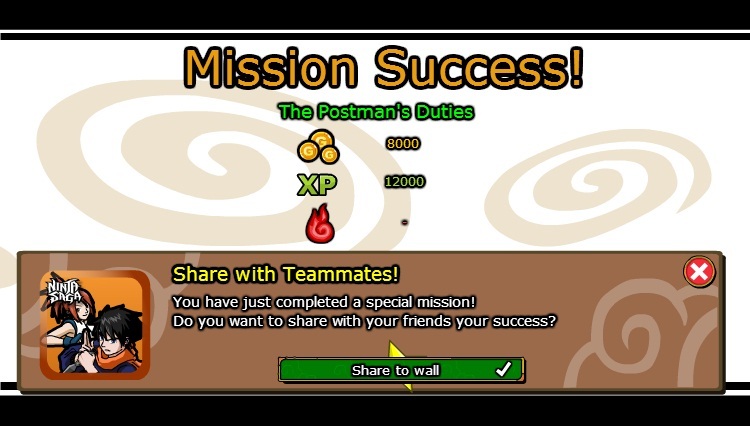 When a player reached level cap, the character will stop gaining XP until a new level cap is announced. The current level cap is Lv80. You may switch to another character by refreshing the page. By now, you may only use Alphabets, and / or numbers, and / or underscores for character names. No. Whether your character is male or female, both have no effect on how the game is played. The only thing it affects is your character's appearance and the costumes. 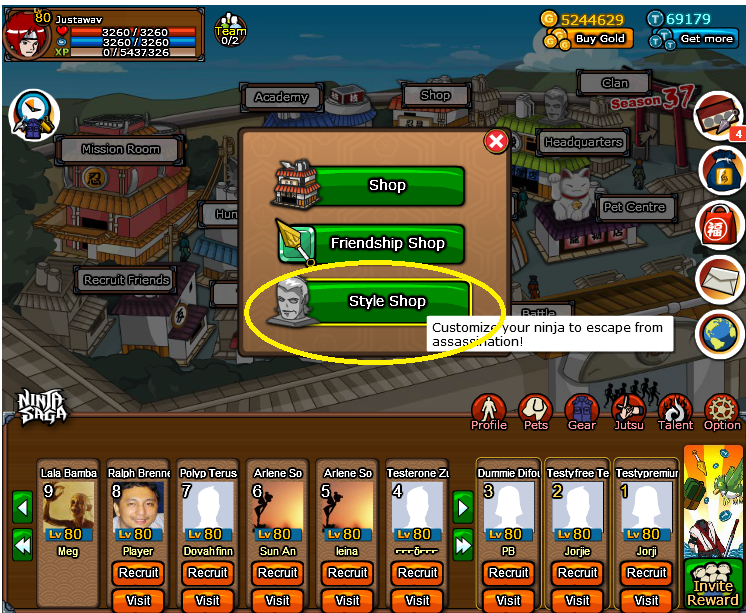 You may go to the Style Shop in the Village and change your appearance. In general, your HP will be filled up automatically once you are back to the Village. 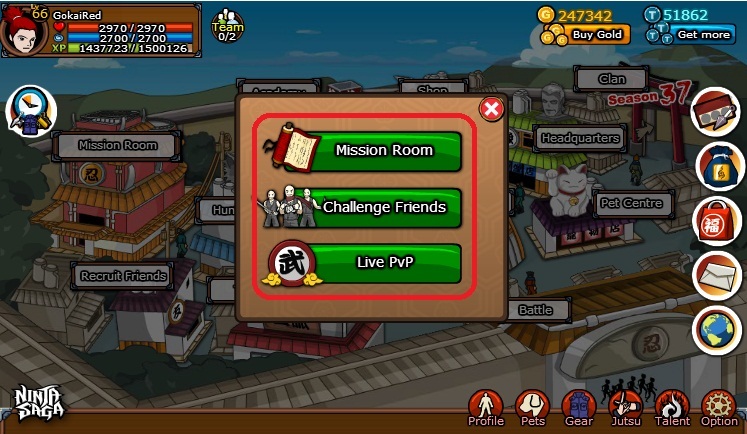 When you are in missions / battles, you may use Heath Scrolls or certain skills to restore certain amount of HP. 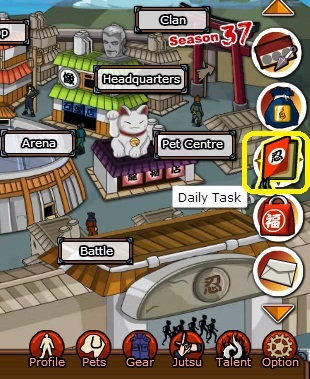 In general, your CP will be filled up automatically once you are back to the Village. 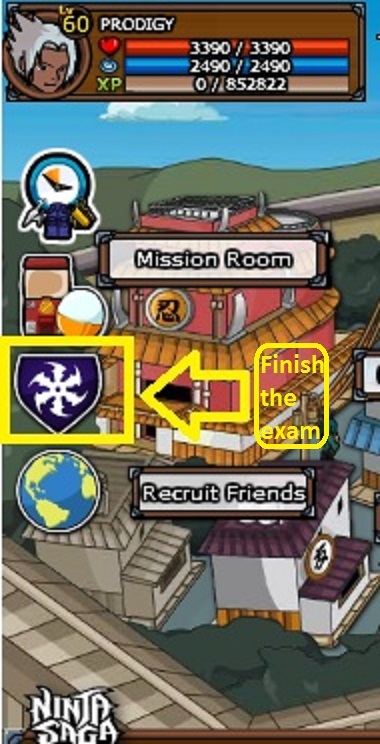 When you are in missions / battles, you may use Chakra Scrolls or certain skills to restore certain amount of CP. Your maximum HP will be increased by 40 each time you level up. Your maximum HP will be increased by 30 when each attribute is being invested to Earth. Your maximum CP will be increased by 40 each time you level up. Your maximum CP will be increased by 30 when each attribute point is being invested to water. 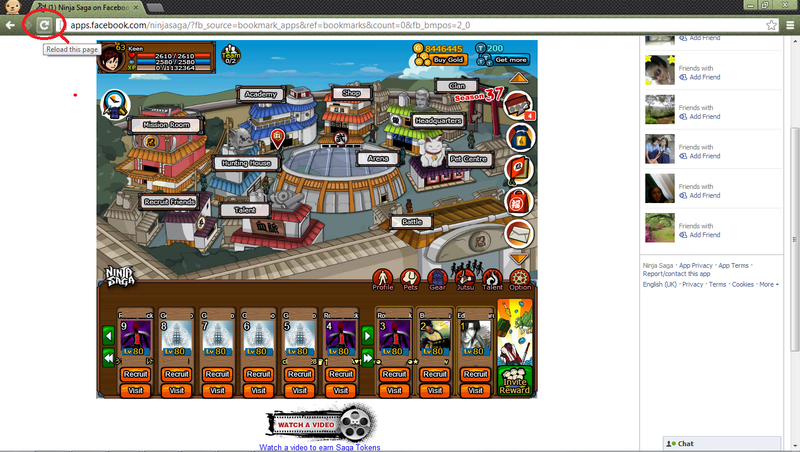 Some of the back items and weapons can increase character's maximum CP. 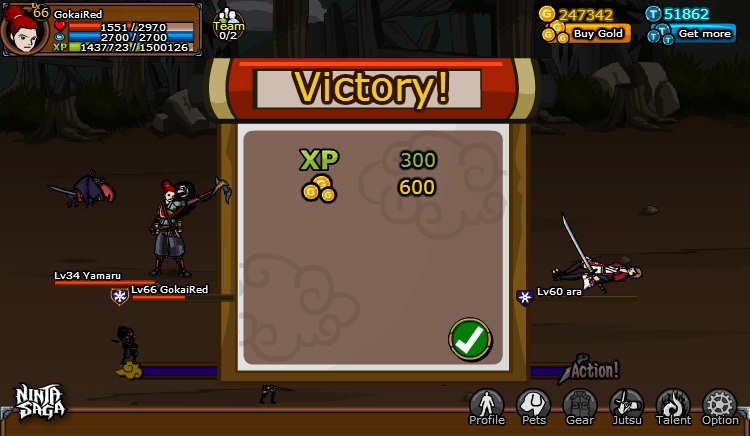 New levels will be unlocked when you gain XP and accumulate to the required amount. Attribute points are used to improve your character's skills. Investing different elements of attribute points will affect the element skill damage, add and improve special ability such as agility, critical chace and purify chance to the character. 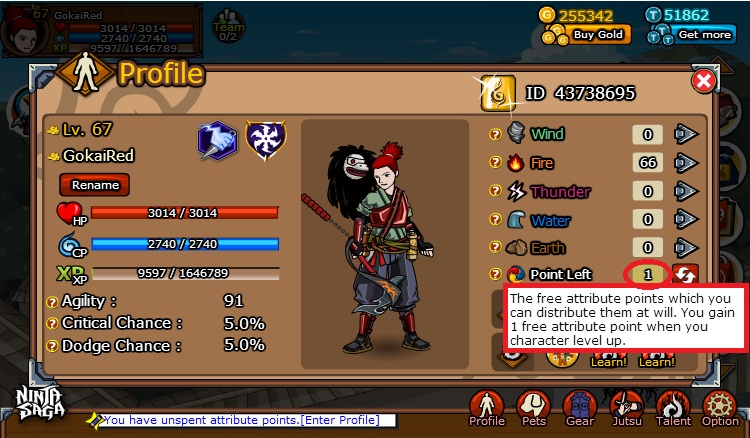 A free attribute point is given each time you level up.